It has been a privilege to publish Beyibouh's work and we send condolences to his family and loved ones. 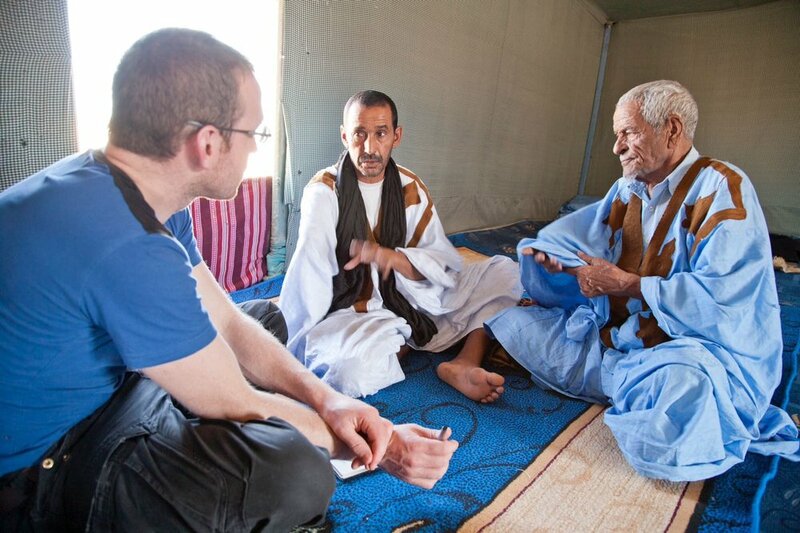 As a tribute we are publishing his poem of the Saharawi resistence, Dreimissa here on the blog. You can of course read more of his work in Settled Wanderers. Below Dreimissa is Sam's poem, Tea With Beyibouh, which captures wonderfully what it was like to know the man be in his presence. and the praise that you have rightly won. and grown into a role no other has played before. a far-off speck … and then suddenly you’ve arrived. confident in your presence, you won’t overheat. for which you hold a place in our hearts. a heavy load is borne. you stand up and are counted. believe me, Dreimissa, this is good reason for pride. and brought down big bellied bomber planes. Dreimissa, big thanks are due. back to safety in the nick of time. fearless and agile, who fills out these lines. The billows pump the coal. open at all sides to chance breezes or wandering strangers. that swallows vast swathes of the continent. the other side of a wall and landmines and diplomatic impasse. The flies flicker and fuss busily. Tea is poured and repoured from cup to cup. The ceremonial liquid, strong and dark. Glasses clatter on metal tray. moved out in the night when the soldiers stormed their homes. a head full of memories. Eighty if he’s a day. apparently undimmed by the years. but mindful he does not overstretch himself. until he leaves at his grandfather’s orders. He has the gift of laughter. that breaks us all out in laughter. He slaps hands with everyone. And another tea is poured. and mocked his naked intentions. no S.A.M could touch them. way past the third step in this familiar ritual. just a taste on the tongue when there’s nothing left.